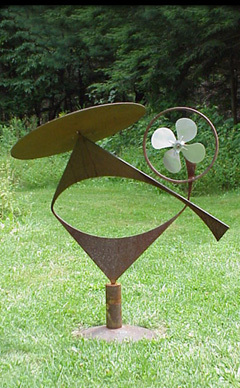 One of Eli Marsh’s kinetic sculptures. More sculptures, along with assemblages, and Eli’s trademark “Wacky Plaques” can be seen on his website www.eli-art.com. Eli will be showing his work in downtown Ithaca, New York on October 5th and 6th.